KOMPAS, which uses Artificial Intelligence to personalise the travel experience, was awarded the prize by Visa’s executive vice president, innovation and strategic partnerships, Jim McCarthy. With over 350 applications being whittled down to 15 to pitch in the final, the competition was fierce, making it difficult for the judges to come to an overall decision. The judges consisted of Visa’s senior directors and executives, as well as guest judges such as Erez Arahoni, ICC and Birte Quitt, Erste Group. To date, over 1,500 companies from all over the world have competed in the Visa Everywhere Initiative since it was launched in the United States in 2015. 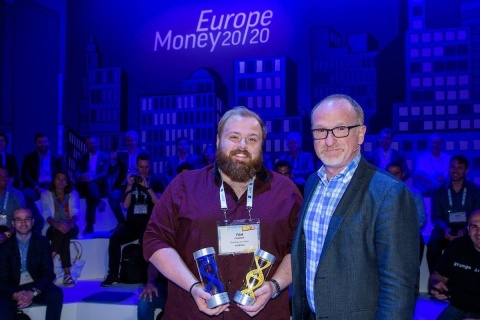 The CEO and winner of the competition Tom Charman said: “I believe what made KOMPAS stand out from the other contestants, was both a combination of the technology we’re building, but also our ability to integrate with Visa services; providing a completely personalised experience for our end user”.